This Flag Stand Water Weight Bag is a plastic circular bag which can be filled with 3 gallons of sand or water and then placed on top of your Teardrop Flag Stand for additional weight in gusty conditions. When this weight bag is filled, it adds 25 pounds of weight to secure your Teardrop Flag Kit on flat surfaces! 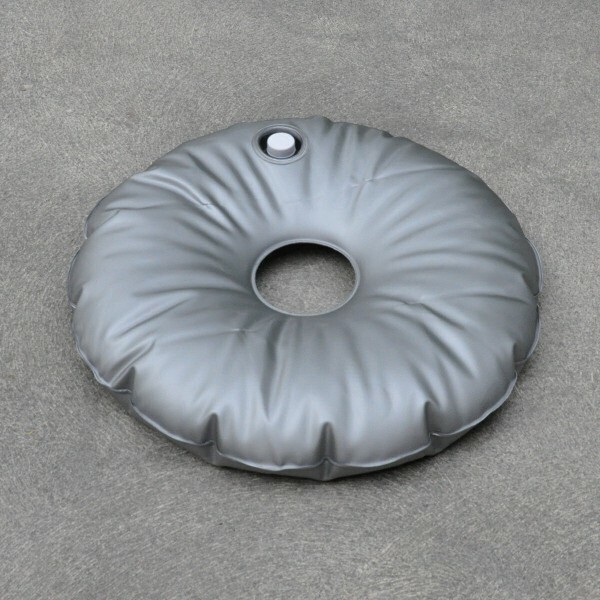 This 24" diameter weight bag is made of plastic, has a screw cap, and has an inner 4" diameter hole. This Flag Stand Water Weight Bag is a perfect accessory for our 9 foot Teardrop Flag Kits in windy conditions.